Isn’t that a strange question? We walk on it, build things on it, grow vegetables in it, but what is soil? Soil is a very important part of the BC Riesling Review as this is where the nutrients for the Riesling grapes come from. I will try to keep this article interesting without being too dry and academic, but sometimes you need to get a bit scientific and geeky in order to appreciate the end results of wine in your glass. I am not a soil scientist, but I do have some basic knowledge of soils. Soil, if you dig down has in general 3 zones, or horizons. The BC Ministry of Environment says this about soil: “…In mineral soils there are generally three major horizons; A, B and C. The A horizon is uppermost, where the maximum accumulation of organic matter in situ occurs and where maximum removal of materials occurs by solution, suspension or erosion. It is also where the largest transfers of energy take place, both solar and biological. This is truly where the action is! The B horizon is where the materials accumulate that were freed in the upper portion of the soil body. There is a close relationship between the A and B horizons. Translocations as well as many biological and chemical reactions take place between them. The B horizon, however, tends to be more stable than the A for short term differences. The C horizon is often termed the parent material. The effects of soil processes have not manifested themselves appreciably and thus the material is little modified…” (http://www.env.gov.bc.ca/soils/landscape/2.2soil.html) The following figure from the Ministry shows a common mineral soil profile. About 60 percent of grapevine roots sit in the top 24 inches (60cm) of soil, but many of the plant roots grow much deeper. Grape roots can grow more 20 feet (6m) deep. Soil texture and pH affect the development of grapevine root systems. As soil acidity, density and poor water movement increase, root vigor decreases. (http://homeguides.sfgate.com/grapevine-root-systems-59167.html). 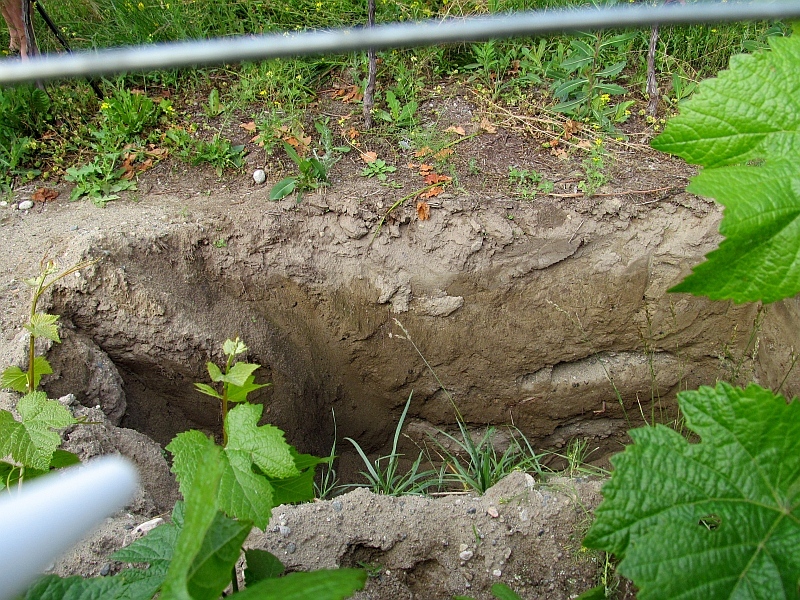 Here is an example of a soil pit dug at Okanagan Crush Pad‘s Switchback vineyard in Summerland. I believe it is an Orthic Brown Chernozem. Now that we know a bit about soil, what different soil types do we have in BC where our Riesling grapes are grown? The soil info presented below are again from the BC Ministry of Environment. I underlined parts of the descriptors below that I thought are interesting. Read on. Soils of the Brunisolic order have undergone only moderate development from the original parent material. Physical, chemical and biological weathering has proceeded far enough to change the morphology of the parent material. There are a number of reasons for this sort of soil occurring in British Columbia. Firstly in many areas the climate has restricted the progression of soil weathering. Long winters and low temperatures restrict the rate of many of the transformations which constitute soil weathering. This is the reason why Brunisolic soils cover much of the high plateaus of northern British Columbia. Lack of soil moisture also limits transformations such as chemical weathering. Thus Brunisolic soils are also found in the subhumid to semiarid zones of the southern interior. Soils that belong to the Chernozemic order are associated with a grassland vegetation and a climate which ranges from subarid to subhumid. However, the most important characteristics of the climate as a soil forming factor are low rainfall, high summer temperatures and high evapotranspiration rates. This inhibits tree growth, limits soil leaching and leads to the accumulation of the decomposition products of the grasses in the topsoil. The principal areas of Chernozemic soils in Canada are found in the Prairie provinces. But there are also significant expanses of such soils in the valleys and some adjacent plateau areas of the south central interior of British Columbia. The distribution of Chernozemic soils is mainly a result of the climatic limitations to tree growth. These soils are therefore found on a wide variety of parent materials. In valleys they occur on fluvial deposits or terraced lake silts as in parts of the southern Okanagan valley. The dominant process in the development of Chernozemic soils is the accumulation in the topsoil of organic matter derived from the decomposition of the leaves and roots of the grasses. The organic matter is intimately mixed with the mineral material by its repeated ingestion and excretion by soil fauna. This gives a dark colored surface Ah horizon with well-developed granular structure. The low rainfall means that there is only a limited movement of water down through the soil profile and very little leaching. This means that there will be little movement of clay down the profile and carbonates will tend to accumulate in the C and lower B horizons due to high soil evaporation rates (Karl: Calcium Carbonate, e.g. limestone or chalk, can be found here and accessed by the grape’s roots). Soils of the Gleysolic order are saturated with water for long periods of the year and their profiles show evidence of reducing conditions. Reduction in the chemical sense is caused by a lack of oxygen. The water excludes air from the pore spaces, and the microorganisms rapidly use up any oxygen in the water, causing anaerobic reducing conditions. For the rest of the year Gleysolic soils may be well aerated and aerobic weathering proceeds. These soils occur throughout the province wherever water is retained in the soil profile for long periods. They are associated with a wide variety of other soils and there is a continuous gradation from the Gleysolics to the well drained soils with which they are associated. The principal reason for their occurrence is restricted drainage due to topography. Wherever water is added to the soil faster than it drains away Gleysolic soils develop. This may be in depressions, on very flat plains or at the foot of slopes. (http://www.env.gov.bc.ca/soils/landscape/2.4order.html). I’m not sure what effect this type of soil will have on the grapes, but we shall see through this review. 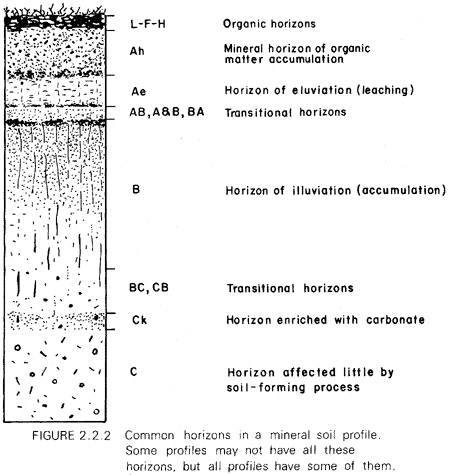 Soils of the Regosolic order do not have a B horizon and may lack even an A horizon. They occur in all parts of the province, but rarely, except in the high mountains, do they extend over large areas. Regosolic soils are very weakly developed for a variety of reasons. They may have developed on very young geological materials such as river alluvium or coastal beaches. They may be found in unstable situations such as constantly eroding slopes or shifting sand dunes. (http://www.env.gov.bc.ca/soils/landscape/2.4order.html). This sounds like really undeveloped soil, mostly stony materials, so should be interesting to see how the grapes manifest here. We now have a bit of knowledge of the soils associated with the Riesling grape vines here in BC, but which soil(s) were the most popular? To answer this question I needed to overlay the vineyard locations with a map of soil type regions of BC. Using a Geographic Information System, (think Google Maps but more powerful), I overlaid the geographic (latitude/longitude) locations of the vineyards, (which were given to me by the wineries), on top of soil polygons which were mapped by BC soil scientists. The soil map data reference is “Province of British Columbia, 2015, British Columbia Soil Mapping Spatial Data (a compilation of digital soil mapping datasets). Data available from the British Columbia Ministry of Environment, Ecosystem Information Section at: http://www.env.gov.bc.ca/esd/distdata/ecosystems/Soil_Data/SOIL_DATA_FGDB/ [Accessed September 2015]“. Through the overlay of these two datasets, I tagged each Riesling vineyard point with a soil polygon, that contained information on soil type. The table below shows the number of BC Riesling vineyards that are associated with one of the soil types I outlined above. Within these soil polygons, these soils represent the majority soil type. There may be other soil types mixed in, but the other soils would be a minority. As you can see, the Orthic Brown Chernozem soil type is the most popular for Riesling plantings in BC. 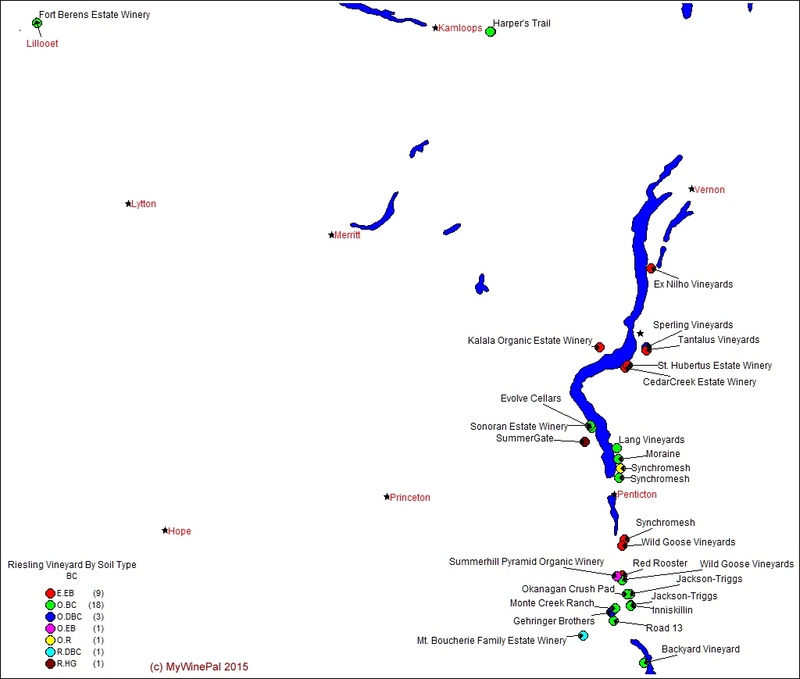 A coarse overview map of the vineyard locations colour coded by major soil type does show some pattern. The soils for these 9 vineyards are well to rapidly drained with rainfall, and as such have a low available water storage capacity. In general the soils are glaciofluvial, where the parent material has been moved by glaciers and then sorted and deposited by streams from the edge of the glacier, with the deposits making outwash plains, deltas, kames, and eskers. The soils are medium to neutral with a pH in the range of 5.6-7.4 (where 7=water). The soils may also be weakly calcareous (containing Calcium Carbonate, which may have come from the shells of small fossilized snails, shellfish, and coral). Chalk, limestone, and marble are all natural forms of Calcium Carbonate, and are actively sought for vineyards, to add sharpness to the wine and minerality. This is the most popular soil type for the Riesling wines that I tasted. 18 wines come from this soil type. This type of soil is well to rapidly drained with intermediate to low water storage capacity. This soil type is made of glaciofluvial, glaciolacustrine and fluvial sediments. Glacio meaning that the parent material was moved by glaciers, and the sorting and deposition by stream melt, river channels(fluvial) and deposition into lakes (lacustrine). The soil would be made of mainly sand and gravels and you may see geomorphological features such as outwash plains, deltas, kames and eskers. If the deposition was glaciolacustrine then the soil would have moderate to very strong calcium carbonate presence, otherwise if fluvial or glacialfluvial then calcium carbonate would be very weak. This falls into the well drained soil and has lower water storage capacity. The soil material came from glaciofluvial and fluvial deposits. You should again see gravel and sand in the soil, and have a moderate to very strong calcium carbonate component in the soil. Will this give the Riesling wine from this soil, sharpness and minerality? The Rego Dark Brown Chernozem soil is well drained with intermediate water storage capacity. The soils come from fluvial processes where river sediments generally consist of gravel and sand with a minor fraction of silt and rarely clay. There should be a moderate to very strong calcium carbonate component in the soil. This type of soil drains water away rapidly and therefore has a low available water storage capacity. The soil comes from glaciofluvial materials where glaciers transfer the parent material and melt streams sort and deposit the materials, which can form outwash plains, deltas, eskers, and kames. The soil should have medium to neutral Acidity with a pH range of 5.6 – 7.4 (water is pH 7). Orthic Regosol soil is well drained, and has intermediate water storage capacity. The soil comes from glaciolacustrine deposition and has a moderate to very strong calcium carbonate component. Does minerality play a big component for these grapes? A poorly drained soil, it remains wet for a large part of the time in the year. The uppermost section of soil consists of fluvial gravel and sand that has a weak calcium carbonate component, and the deeper soil would be fluvial gravel and sand that has medium to neutral acidity. How would these two components, weak calcium carbonate, and light acidity interact to affect grape flavour? So there are our vineyards classified by major soil type. There are preferred soil types as we could see from the chart, and some wineries growing their Riesling grapes on more unique soils. Part 3 of this Review, to aggregate aromas and flavours by major soil type, should be interesting. What characteristics may come from these soils? You may have noticed that Stag’s Hollow Winery & Vineyard did not show up in the map or the listing of soil types. The vineyard for Stag’s Hollow is located about 800m north of the Canada/US border, on the west side of Osoyoos. The BC soil mapping database has no soil information at that location as I believe they did not map soils within municipal boundaries, so I could not classify it, but it is part of the study overall. FYI, Part 1 of the BC Riesling Review was a listing of all the wines I tasted, along with my detailed tasting notes. You can read my Part 1 BC Riesling Tasting Notes here.